There is nothing wrong in saying that weddings and fashion go hand-in-hand, especially if it is an Indian wedding. Royal outfits, exquisite jewellery, stunning accessories and what not- an Indian wedding has it all! It is these beautiful elements of a wedding that can make any girl in this world want to have a big fat Indian wedding. Thanks to our rich old heritage, that makes the Indian weddings such a magnificent affair. And, not just that! 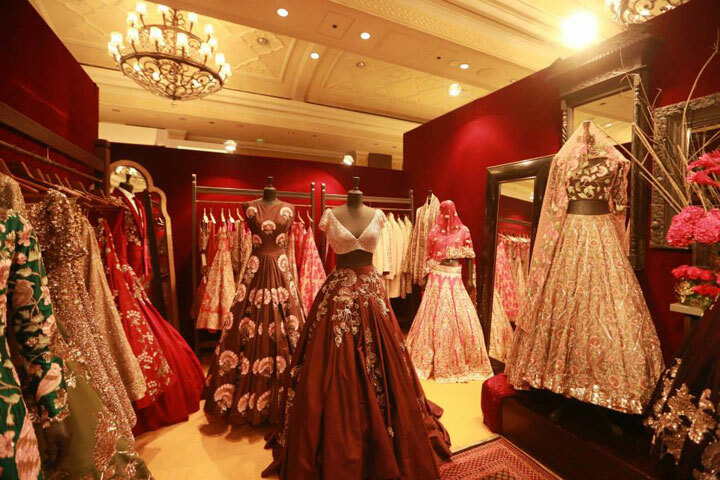 Even our new-age super-talented designers and other professionals in the world of bridal fashion are equally responsible to make the Indian weddings totally beautiful and amazing. The three-day event had it all that can make every soon-to-be married man or woman’s dream of donning a spectacular look on their wedding come true. 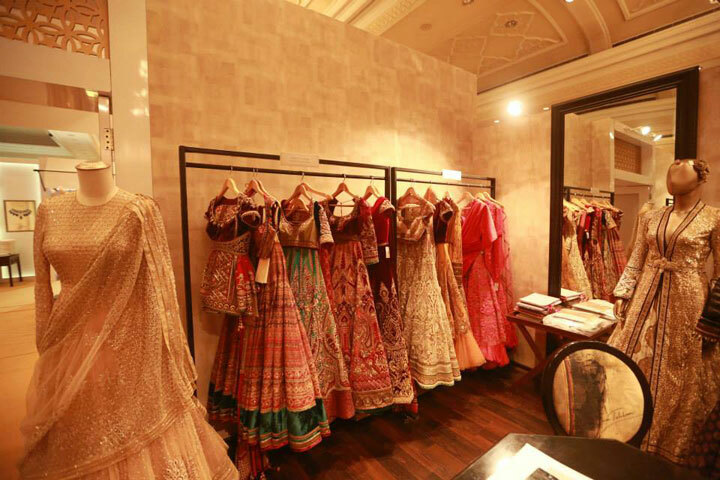 The entire collection of Manish Malhotra is always full of so many awe-inspiring pieces. 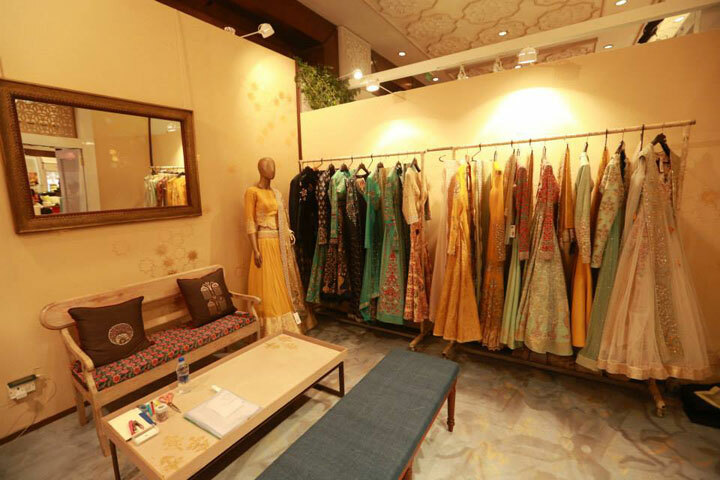 At Vogue Wedding Show 2015, his collection highlighted a playful mix of earthy and playful shades, sheer fabrics and rich floral embroidery giving 3D effects. 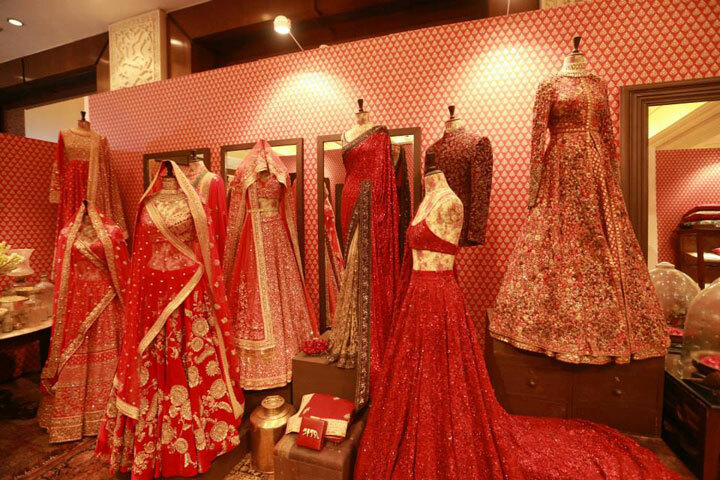 One thing that has always had and will continue forever to have an association with the Indian weddings is the color, red. And, the ace designer Sabyasachi Mukherjee’s collection was clearly shouting that out. We totally loved the way the designer played mainly with just two colors, red and gold, to bring out such a stunning and lust-worthy collection. This bridal couturier named her collection, The Sailing Bride, and each of her creation depicted a perfect blend of contemporary design and traditional elements. 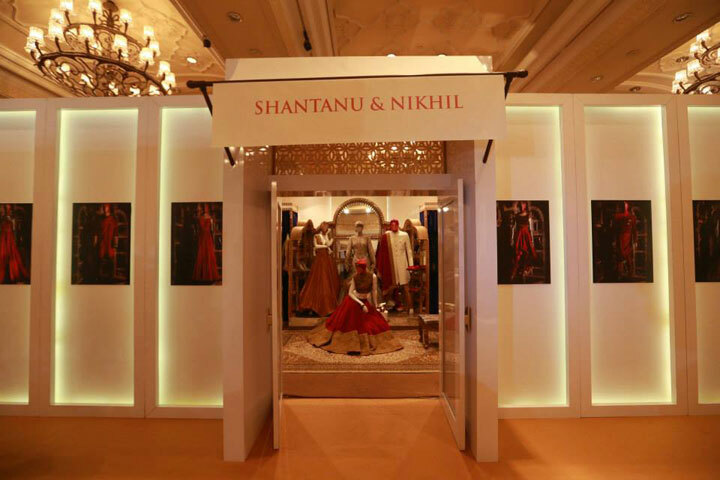 The designs featured subtle colors and feminine colors that fit just perfectly with the idea of a modern Indian bride. 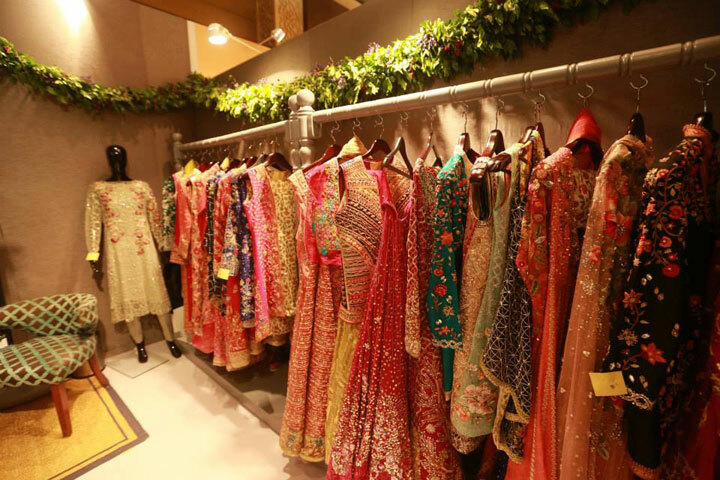 His collection was full of festive colors and other traditional elements that can leave any bride-to-be awestruck. 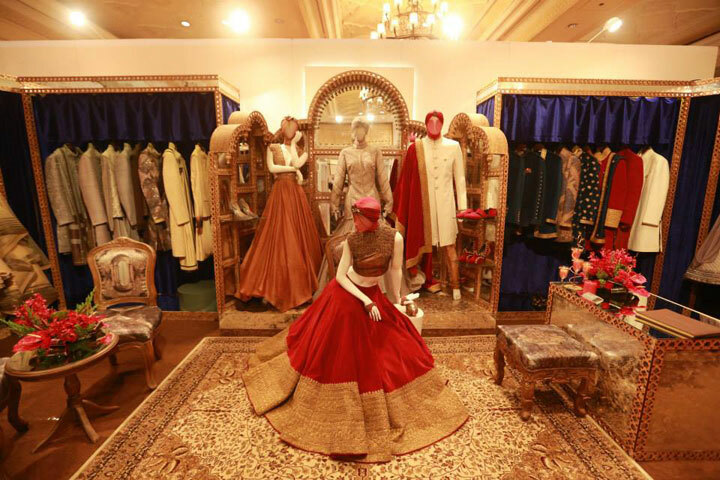 Shades of gold, red, pink and orange along with rich embroidery and graceful fabrics were the highlights of Tarun Tahiliani’s collection at the Vogue Wedding Show. 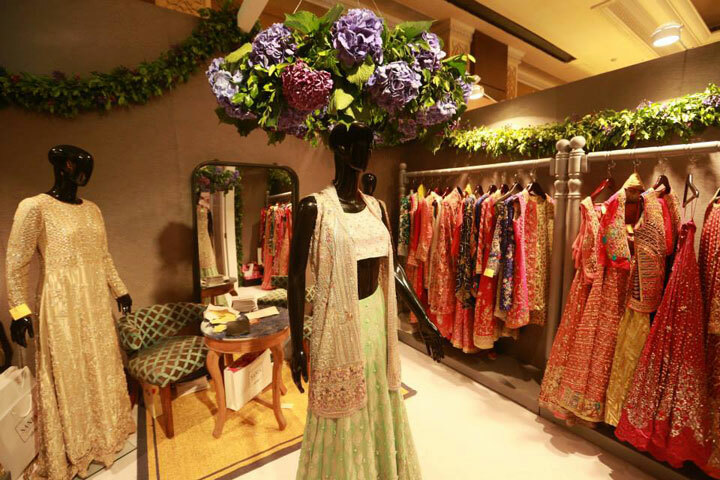 We got to witness a lot of shades of green in Anju Modi’s collection apart from the regular red, maroon and pink, at the Vogue Wedding Show. It was something unconventional yet so much connected to the roots of our heritage. Her collection had some amazing pieces for the grooms as well. The designer, Vineet Bahl’s ‘Premier’ collection at the show had some absolutely drool-worthy pieces. 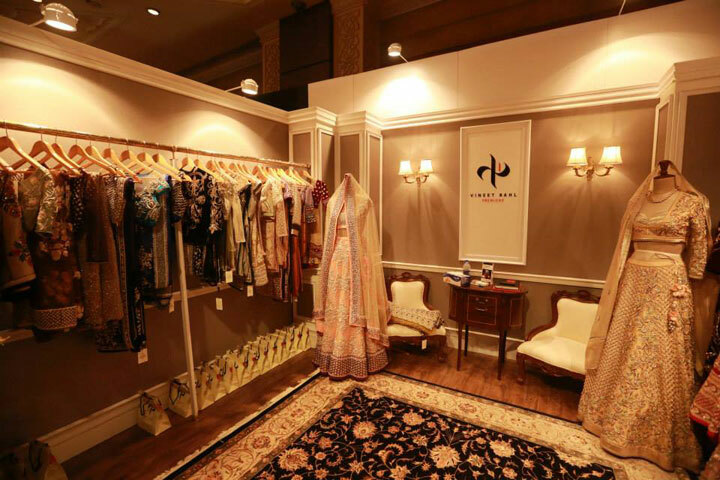 The most exquisite ones included a peach lehenga with a beautiful net dupatta and a heavy choli; and an embroidered beige lehegna choli that oozed out richness from each and every angle. This designer duo had some truly fantastic pieces for the brides as well as the grooms. They rocked the show with their minimal yet magnificent pieces. Most of them were in the rich shades of maroon, gold and cream. 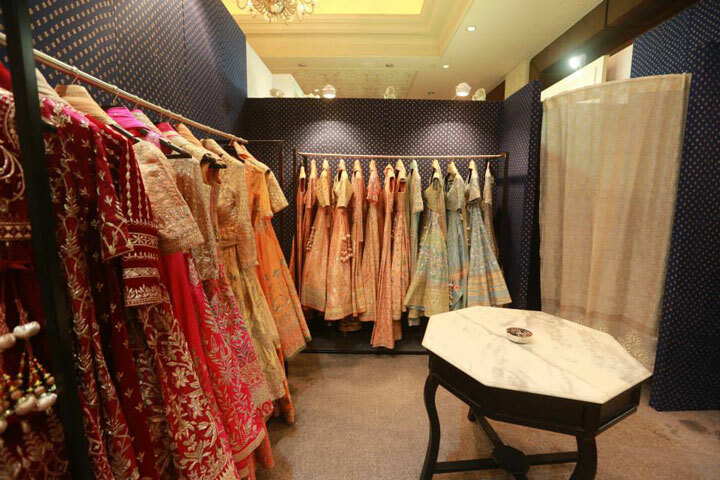 The leading designer some stunning pieces of woven Benarasi sarees and some rich lehengas. Apart from the traditional colors worn usually in the Indian weddings, she also had a lots of pieces in soft pastel hues. 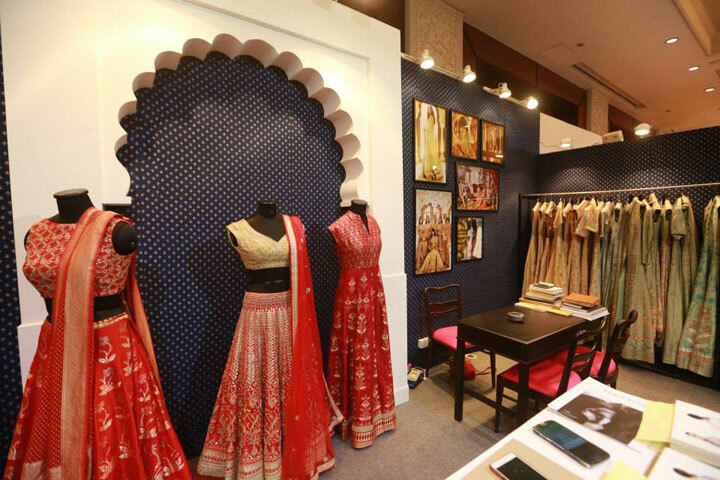 Rich hand-embroidery was the key element of this celebrated bridal designer. 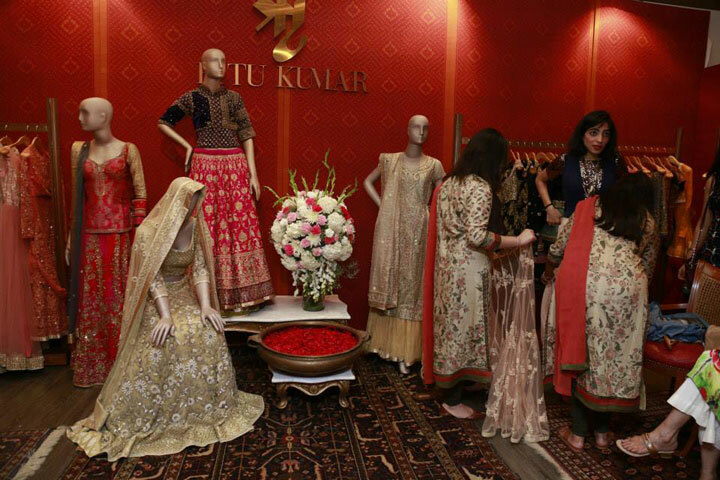 Apart from the hand embroidery, the collection also included some zardozi-based outfits like shararas, lehengas, gowns, etc. 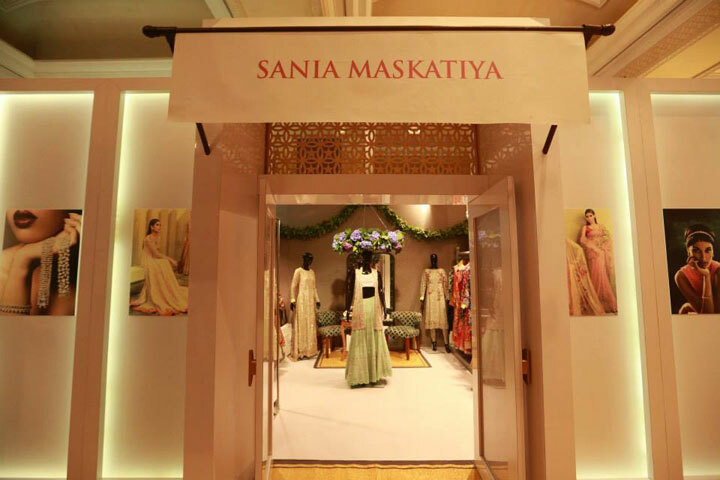 While these were some of our best picks from the show as presented by various Indian designers, there also was a renowned bridal fashion designer from Pakistan- Sania Maskatiya. 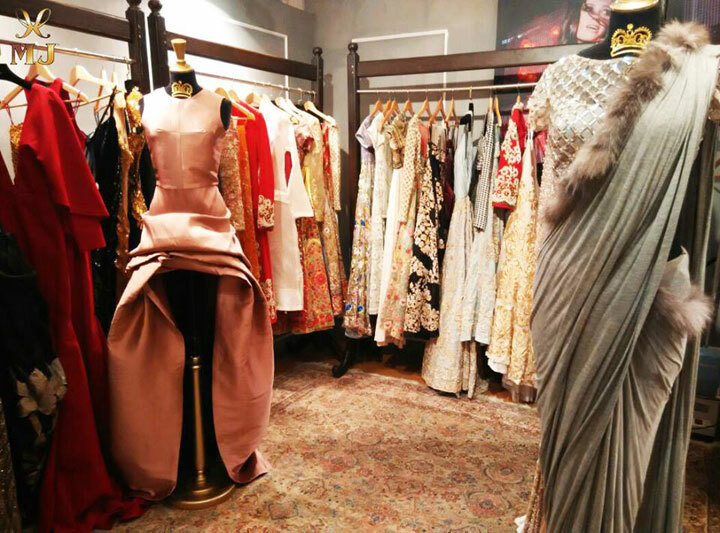 Marked with stunning textures, embroidery, embellishments and colors; the collection oozed out royalty from each aspect. 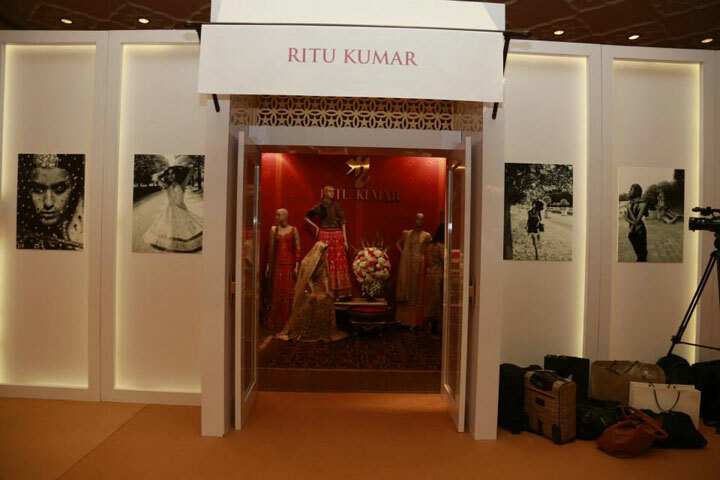 So, this was all about the various outfits by different bridal couturiers in the Vogue Wedding Show, 2015, which was held in Delhi from August 7-9, from our side. Stay tuned with us for details of more such awesome fashion shows all across the country.